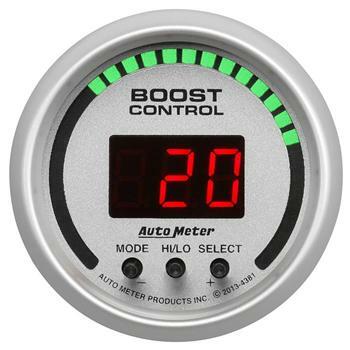 Putting together the most advance feature set ever seen in boost controllers, Auto Meter has redefined the category. These Auto Meter Electronic Boost Controllers are packaged in a familiar and easy to install 2 1/16 in. gauge housing, they offers some of the most powerful functions ever assembled for safely extracting the most performance possible from your forced induction application and the level of precision, response and durability racers have come to trust within the Auto Meter performance instrument range. Intuitive programming menus operated right through the controllers (no separate software or interface modules are required) make setup and use incredibly easy. Power is nothing without control. They are designed specifically for turbocharged gasoline engine combinations running up to 30 PSI of boost pressure.